The Liverpool Tribune: ARE LIVERPOOL TITLE CONTENDERS? OH YES WE ARE! So another comprehensive victory over another Premier League outfit in the shape of a 5-1 thrashing of Hull City at Anfield. That's 13 points from 6 games in the League: joint third alongside Arsenal who we beat 4-3 and Everton who we have yet to play this Season, one point behind Spurs on 14 who we frustratingly only drew 1-1 against in London earlier this campaign. Beating Chelsea 2-1 away, demolishing Champions Leicester 4-1 at Anfield and beating Derby & Burton in the EFL Cup. All these results can only lead you to one conclusion, Liverpool are serious Title Contenders this year. Leaving the painful defeat to Burnley aside, we have out-played almost every team we have come up against in these early stages of the Season. Liverpool play now with a high-pressing, attack-minded approach in every game, Heavy Metal football as Manager Jurgen Klopp calls it, it has placed us near the top of the table and who knows where it will take us this Season. There are a few minor problems to be ironed out; our shots to goals ratio must improve, for instance. We had 32 shots on goal in the Hull game yet only 3 of them were scored directly with James Milner converting two penalties (what a revelation he is at left back). Also we conceded a slack goal from Hull's solitary attack of the whole match. 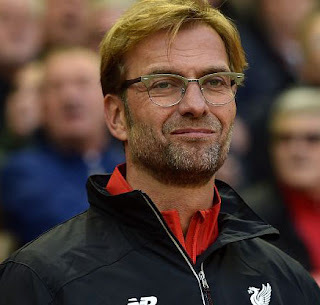 Things that need to be ironed out over the rest of the Season, don't know where it will finish, but continue on in this manner then anything is possible for Liverpool and manager Jurgen Klopp. *Looks like Mammado Sakho is in more trouble at Anfield. The French defender claimed his fitness issues 'were a lie' after his lengthy absence from the game due to baseless drug allegations in April, an Achilles injury and a rift in pre-season with Klopp. Think he is out the door in January, which is a pity for him and for Liverpool. SHOULD SAKHO BE BACK IN THE SQUAD?